In 1962 Charles de Gaulle was famously quoted for saying "Comment voulez-vous gouverner un pays qui a deux cent quarante-six variétés de fromage?" -"How can you govern a country which has two hundred and forty-six varieties of cheese?". Here in France almost every region has its own type of cheese. The types of cheese that numbered to around 246 at the time of Charles de Gaulle has now surpassed 400 owing to new methods, copied varieties from traditional ones and crossing of different types. To protect the traditional and geographic origin of the types, the french certification of Appellation d'origine Contrôlée (AOC) has been given since 1925 with the blue cheese Roquefort being the first to recieve it. I would not go into the details of all types of French cheeses and their classification, but briefly present here my recipes of three starters prepared using three types of cheese, each from a different region of France and from different sources (cow, sheep and goat milk). 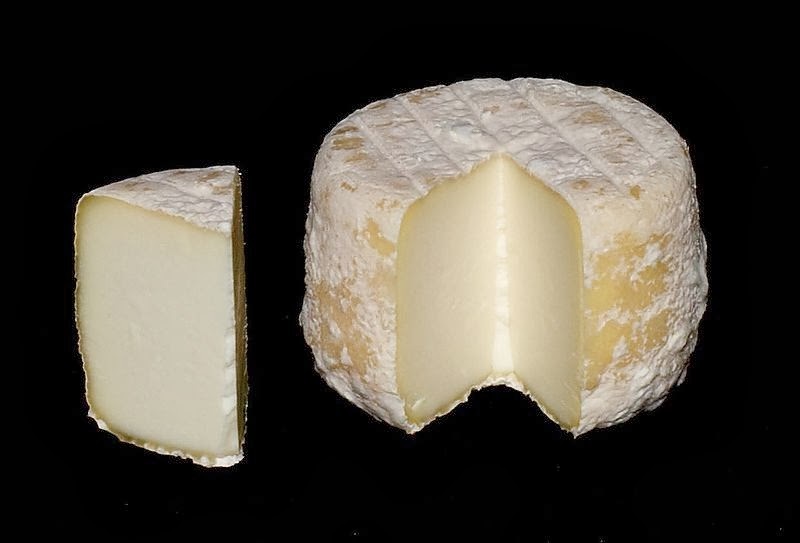 Tomme is a cheese popular in the French alps and Switzerland made from skimmed milk and so are generally low in fat. Tomme de Savoie is the tomme made in the Savoie region of France. This alpine cheese can be aged for 30 days to upto 3 months and the strength of taste and smell depends on the period of aging. The mild flavored ones are good for starters and given its soft nature can be used on a variety of dishes. My preparation with this cheese is inspired from the Italian Bruschetta or the French Canapé. Both these distinct finger snacks are based on pieces of bread with a variety of toppings. 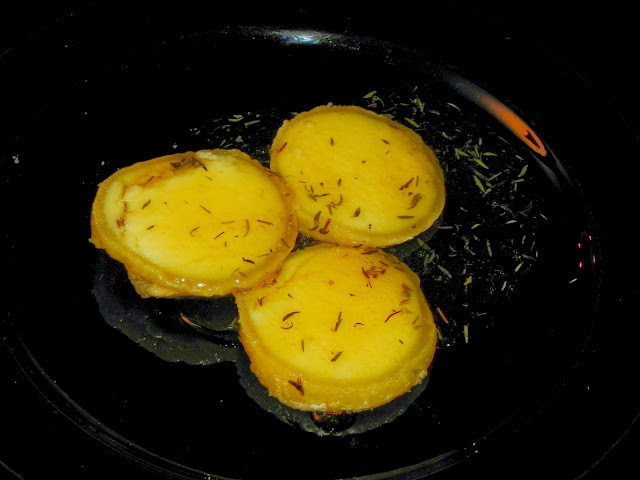 In Bruschetta the bread is rubbed with garlic and then grilled while in Canapé the bread with its toppings can fried, sauteed or toasted. 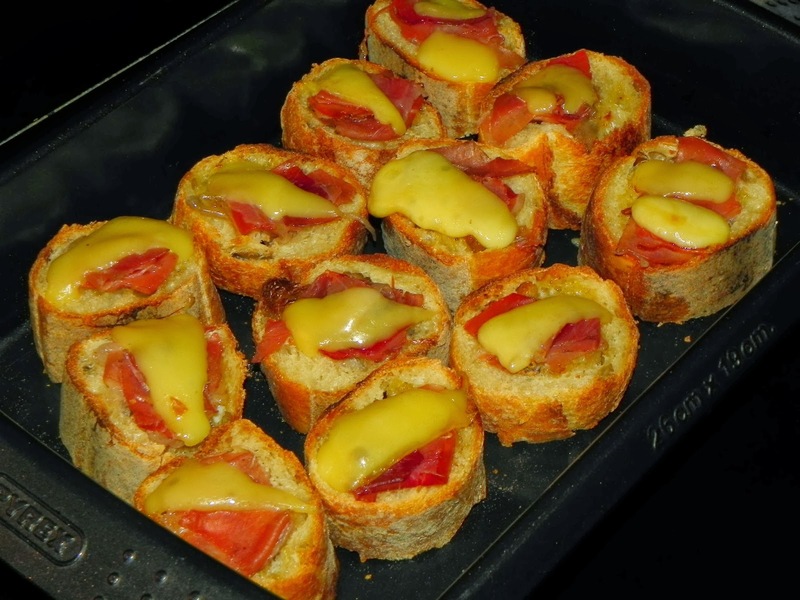 For the topping I used Jambon de Bayonne, a famous French ham from the south western Atlantic coast grilled with Tomme de Savoie, the cheese from the south eastern alpine mountains. Slice the baguette. Cut the butter into small cubes. Chop the ham into thin rectangular pieces. Cut the cheese also into rectangular pieces. Now take a baking dish. Place the pieces of baguette in it. 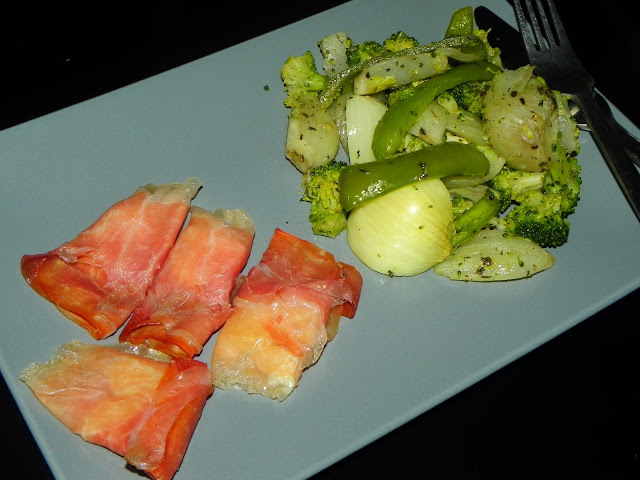 Place 2 cubes of butter on each piece of baguette, then place the chopped ham on top of it. Place one piece of cheese on top of the ham. Put the baking tray in a pre-heated oven for 15 minutes at 180°C . Serve it hot. The Basque country is the region in the south western part of France bordering Spain and spans along the Pyrenees mountain range. The Basque culture has historically been unique and different from both the French and Spanish but has the influences of them both. The steep mountainous pastures of this region can be seen dotted with sheep ever since antiquity. The sheep milk in this region is used to make one of the only two sheep milk cheese of France with an AOC certification. Roquefort from Midi-Pyrenees being one and Ossau-Iraty being the other. 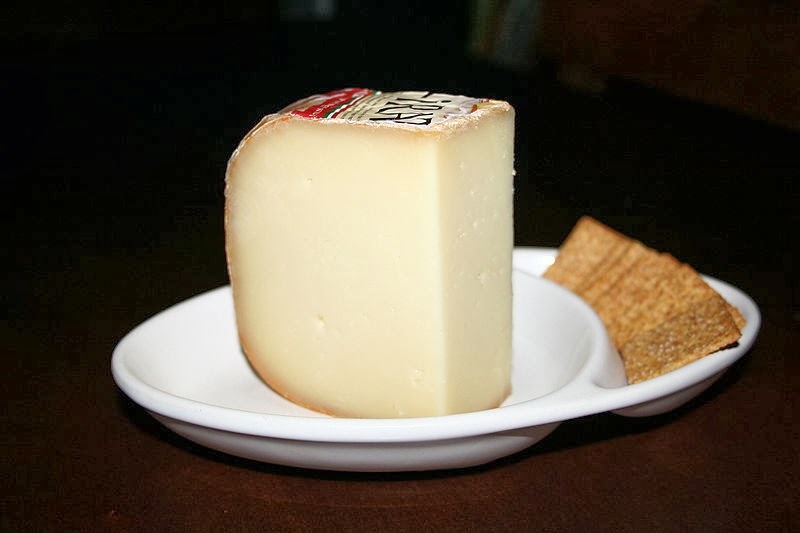 Ossau-Iraty originated from the Ossau valley and the Iraty forest of the Basque region. Made from raw, unpasteurized milk, this cheese is medium soft and has a very delicately smooth flavor. This smooth flavor makes it a favorite to be used for appetizers and starters. I used this cheese to create a simple but tasty starter, with it being wrapped inside the famous Italian ham, the Prosciutto of Parma. Cut the cheese into bite-size pieces. Now take the ham and place the cheese in the middle. Wrap the ham around the cheese. Line the baking tray with baking sheet. Now place the pieces of ham and bake them in a pre-heated oven for 10 minutes at 180°C. Serve it with grilled vegetables. France is famous all over the world for its goat milk cheese called the Chèvre (the french word for goat). 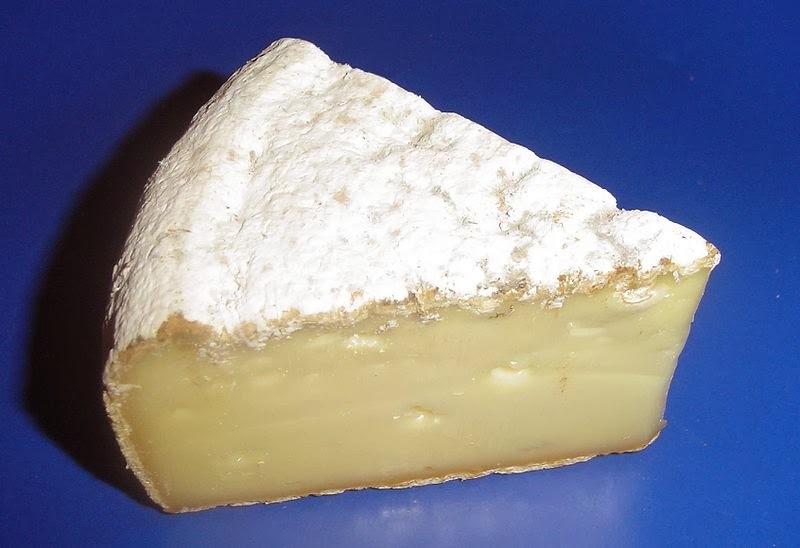 Crottin de Chavignol is the most famous type of Chèvre. It originates from a small village, Chavignol with a population of just around 200, about 5 km west of the river Loire in central France.The cheese takes its name from the term "crot" which means "hole" in the local Berrichon dialect. The crots designated places located along rivers where the laundry was washed. The clay from these banks was used to make oil lamps and the cheese molds which was in turn used to make this cheese. The AOC appellation now applies to the cheese produced in the 550,000 hectares of land around this village. The cheese is subtle with a nutty flavor and can be used to prepare a traditional French starter called Chèvre chaud au Miel. Miel is the french word for honey and this dish is prepared with honey and Chèvre. Here is my version of Chèvre chaud au Miel with Crottin de Chavignol. Wrap the cheese nicely in aluminium foil. Pre-heat the oven at 220°C. Place the cheese in the oven. Bake it for 14 minutes at 180°C. Change the side after 7 minutes. Meanwhile prepare the honey topping. Pour the honey in a sauce pan. Add vinegar and the herbs. Mix it nicely with an egg-beater. Now start heating it at a very low temperature and keep beating it with an egg-beater. After around 3 minutes you will start getting the smell of the herbs getting incorporated in the honey. Stop beating and let it thicken at a very low temperature. Take out the cheese from the oven. Cut it into thick slices and place it on the dish. Now pour the honey on top of it and let it stand for 1 minute. Serve it warm.